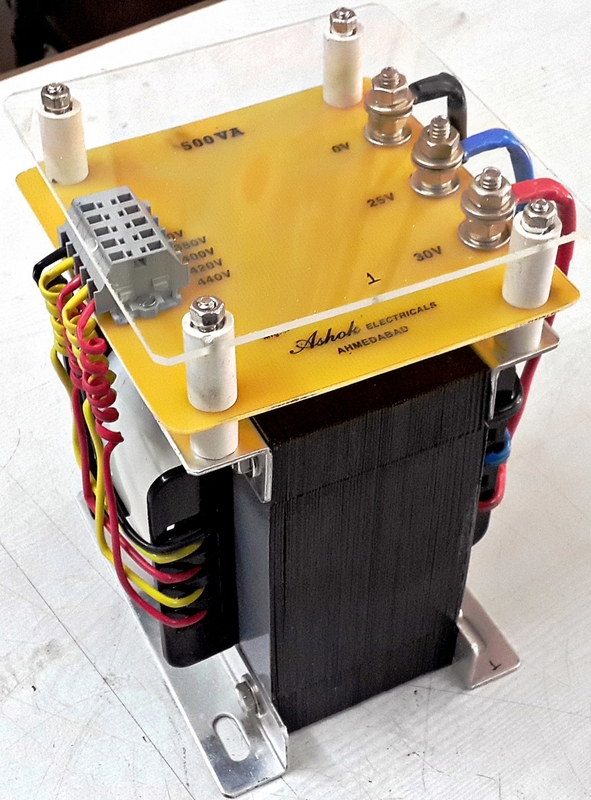 We the team “ASHOK ELECTRICALS” are classified among the renowned manufacturer of Control Transformer, Lightening Transformers in Ahmedabad providing a huge range to our satisfied customers. A Control Transformer is a transformer which supplies power to control and auxiliary equipment not intended for direct connection to the main circuit. Control Transformers is specifically used to provide control supply voltage for the control circuits of AC motor starters i.e. starter coils, timers, indicating lamps, etc. Transformers are used to step up and step down supply voltage, hence act as Step Down/ Up Transformer depending upon requirement, for the operation of electromagnetic devices e.g. : Contactors, Solenoids, Relays & Timers. They are specially designed to accommodate the momentary in rush current caused when components are energized without allowing secondary voltage to fall below specified limits. The Industrial Control Transformer are manufactured to meet the best quality and these specification. These can be of the varied range of single phase version or the three phase version from 1 KVA to 100 KVA. REQUIRED SYSTEM OF EARTHING OR NOT.